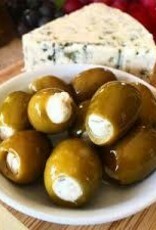 Marinated gourmet olives that feature a hand-stuffed dollop of real bleu cheese. These little divine morsels are the perfect addition to any appetizer platter, sandwich, pizza, salad, or sauce. 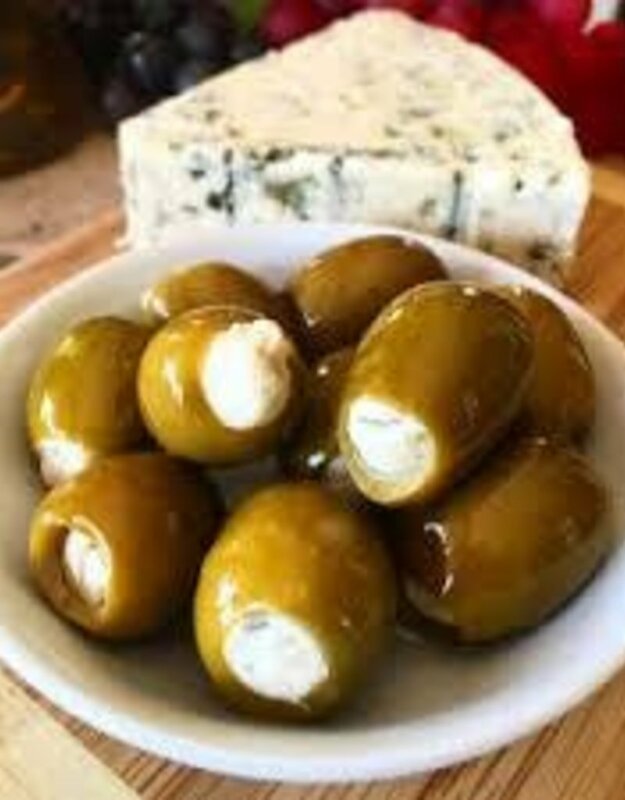 The zest of bleu cheese within our delicious, juicy olives is sure to add instant zest to your palate! Ingredients: Olives, Garlic, Red Pepper, Oregano, Water, Salt, Blue Cheese (Milk, Cheese Cultures, Salt, Microbial Enzymes), Natural Blue Cheese Flavor, Sodium Phosphate, Lactic Acid, May Contain Trace Amounts of Sodium Benzoate & Sulfites as Preservatives.